Several new developments have been taking place at the family-owned Hamilton Princess Hotel recently, including the opening this week of Marcus Samuelsson's flagship restaurant Marcus' (more on that later), but for some reason we have been more interested in the launch of the new Beach Club which opened to hotel guests yesterday. Having followed the progress of the project on Instagram, we were happy to finally be able to visit the property in person and were given a tour of the facilities. 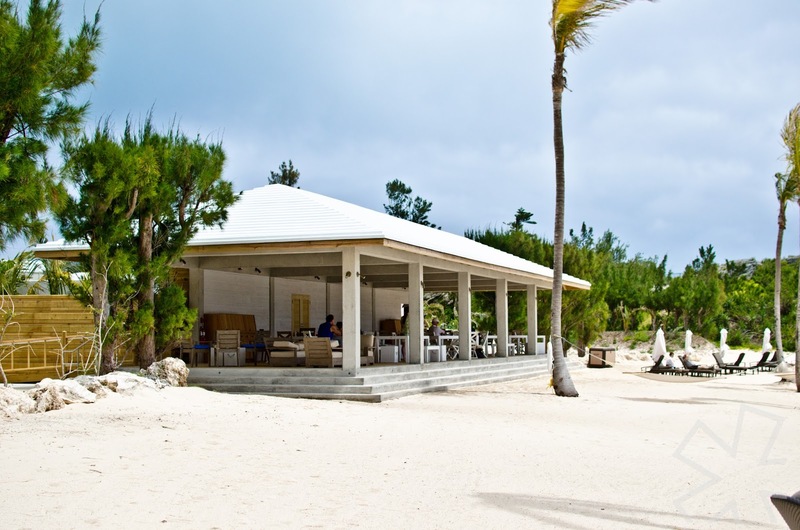 Located on an idyllic half moon stretch of sand on the island's south shore, the west-facing beach is perfect for sunsets. The building which houses the club's restaurant and lounge area has been designed to make the most of its location facing the placid, blue waters of the bay and nothing takes away from the main attraction: the wide, sandy beach. The design of the club includes some ingenious solutions necessary because of its location. The building is made up of modular components, the main structure of which is augmented by the use of several purpose-built mobile trailers which house shower facilities and also comprise the kitchens where light and healthy meals from a menu designed by Marcus Samuelsson are prepared in a manner similar to that of a food truck. The open structure is a mix of rustic and elegant finishes with the main concrete building softened by planks of unfinished and whitewashed wood. The high ceilings have been left open to the rafters providing architectural interest and allowing the free flow of the cooling trade winds through the space. The furniture is functional and sturdy with nautical touches and quirky design elements. It is evident that guests' comfort takes precedence and has been carefully considered with all attempts having been made to ensure that their experience at the club is an enjoyable one. Even on the windy day we visited, the sheltered location ensured that the water remained relatively calm and the beach is dotted with palm trees (a rarity on the island) for shade. Guests can choose to lounge under umbrellas while receiving chair service from the restaurant or nap in one of several hammocks swinging in the breeze. The more adventurous can explore the trails that lead away from the main beach. The Beach Club is the first phase of a new development and plans are in place to introduce water sports and other activities in the near future. Seen at the Emerging Creatives project during Cape Town’s Design Indaba conference this year were interior designer Siyanda Mbele’s stackable tables. Featuring coloured legs that can be easily customised, Mbele’s modern designs incorporate traditional Ndebele, Venda and Zulu patterns in the tabletops and the cultural influences can also be seen in the shape of the tables’ legs. This side table is part of the Cross range of living room furniture from Ben Cramp's JAM Furniture. 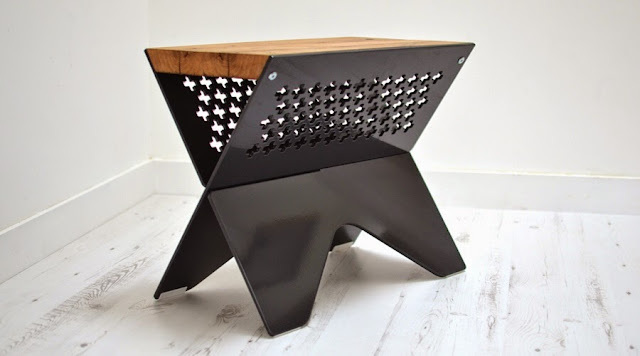 Made from laser cut aluminium and French oak that originally served as the flooring and walls of railway wagons hauling goods for the Société nationale des chemins de fer français, the reclaimed oak is finished in organic beeswax polish while the aluminium legs are powder coated in a rich gloss charcoal grey. The void under the table top provides ideal storage for magazines and books. We came across New York based womenswear designer Recho Omondi on Instagram, which is quickly becoming a great resource for discovering 'new' talent. She established her eponymous label in 2013 with an emphasis on quality construction and Omondi's designs are influenced by the duality of her African heritage and New York lifestyle and her clothes challenge the notion of modernity as it relates to the global woman. 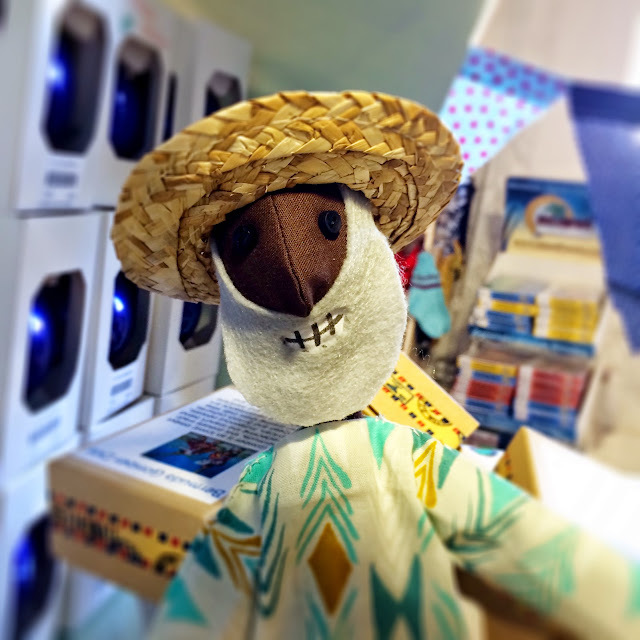 One of Bermuda's most recognisable personalities has been cleverly crafted by Tricia Abbott Walters and comes complete with a straw hat and a huge smile to greet you every morning. 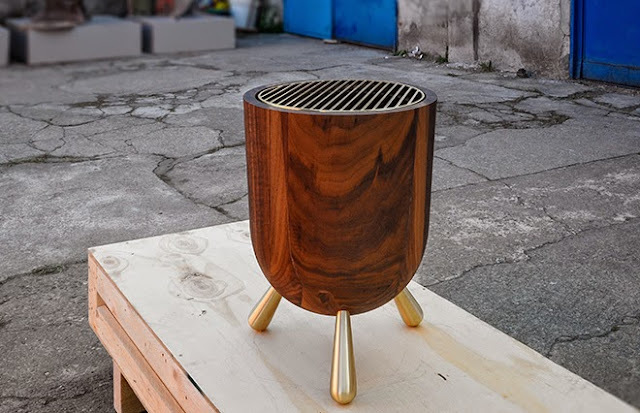 The Mangal stool and side table by Istanbul-based design and construction company cisimdesign was first exhibited during Milan Design Week 2015 at Ventura Lambrate. The design philosophy of the firm is to turn everyday objects into things that function completely differently. 'Mangal' means barbecue in Turkish and while the piece resembles an outdoor grill, it has been designed as a comfortable seat or a place on which to rest or store items in the interior. The stool/table also comes with an interchangeable grill for interest. 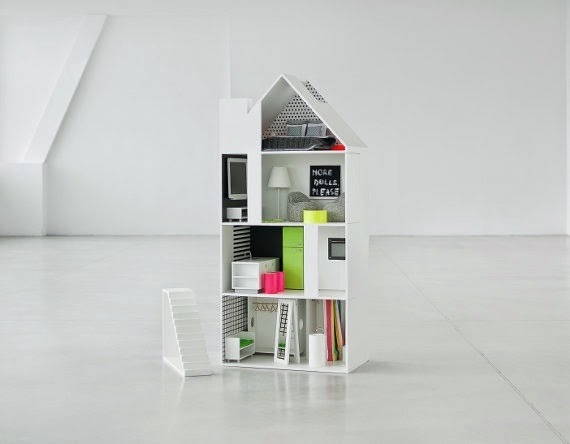 How adorable is this multi-story dollhouse from Boomini? The the four level house is made of high quality MDF. The front has been left open for ease of play and includes a staircase which can be used from the front or the side. The interior is decorated with black and white wallpaper, which provides the perfect backdrop for the miniature furniture and accessories that have been fashioned in vibrant colours. The attention to detail is remarkable: the rear wall of the kitchen is a blackboard, where you can chalk recipes or leave messages for other family members, while the ground floor has an entrance hall complete with wardrobe and shoe cabinet and a bathroom with a shower, toilet and sink. On the first floor is a kitchen with a double-sided island, a fridge, a cupboard and an oven. On the next level is a living room with a coffee table, comfortable seating, a lamp, a bookshelf and a rug. On the walls there are two mini-shelves - one for photographs and paintings and the other for a TV (in reality a digital photo frame, smart phone or tablet can be used). The bedroom is found on the top floor of the house and has a double bed with a mattress, cushions, duvet and a bedspread as well as matching bedside tables with lamps. We love the optical illusion the Float Stool by Nendo for Moroso creates using a cantilever that supports only the back legs. 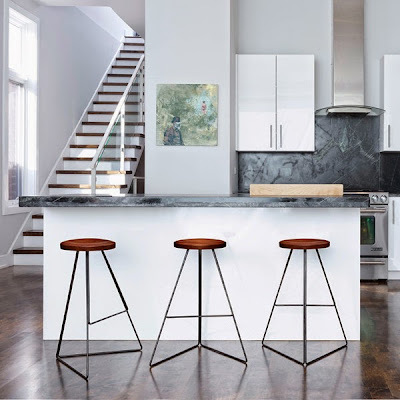 At first glance, the stool seems fairly commonplace with its rectangular plywood seating surface and steel pipe legs however on closer inspection, the seat looks like it is floating in air. 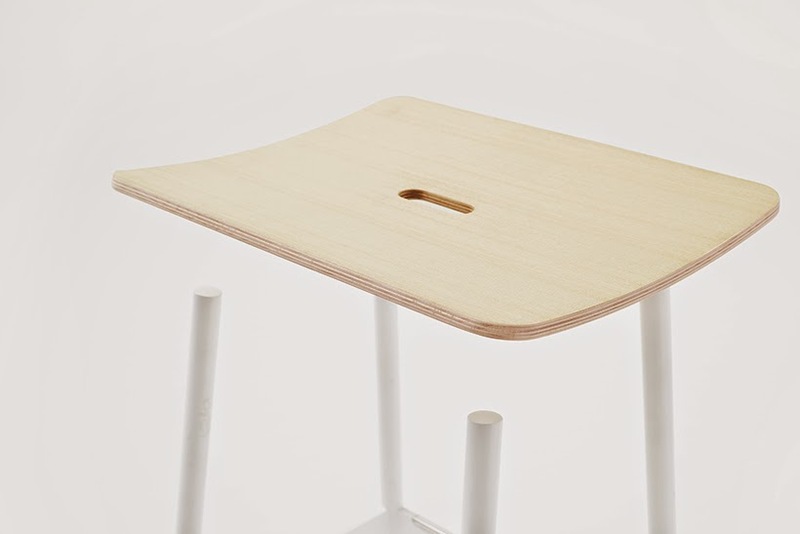 The spring effect caused by the cantilever gives the stool a cushiony, comfortable feel. 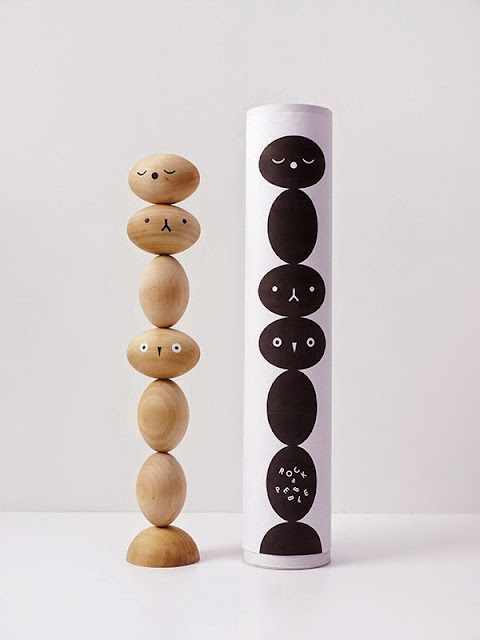 From Rock and Pebble comes TOTO, the totem stacking toy, puzzle and sculpture made of Maple. The pieces can be stacked in a variety of ways but the smooth, polished shapes always create a sense of delicate visual balance. TOTO comes with three vertical and three horizontal ovoids with random face designs. We are obsessed with their scents and now Swedish perfumer Byredo have made a hard left turn by producing a line of handbags made in Italy known as the Nécessaire de Voyage Collection. The line includes the smooth calfskin medium Seema satchel with its front flap, stamped logo and gusseted slip pocket. 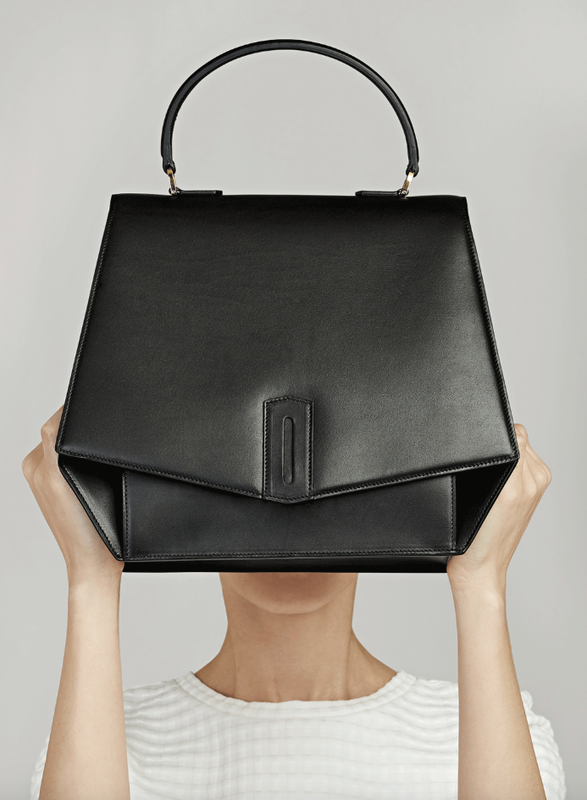 The bag has an angled base and polished gold-tone hardware with a detachable flat leather shoulder strap. The Coleman Collection from designer Greta de Parry uses steel, concrete and hardwood to create a collection of streamlined and timeless classics that are focused on the social elements of the home. Link by Christian Sjöström is a playful modular furniture system which is inspired by molecular structures and repeated elements. Made up of a system of three parts linked together like building blocks, the ball joint feature makes construction incredibly easy. 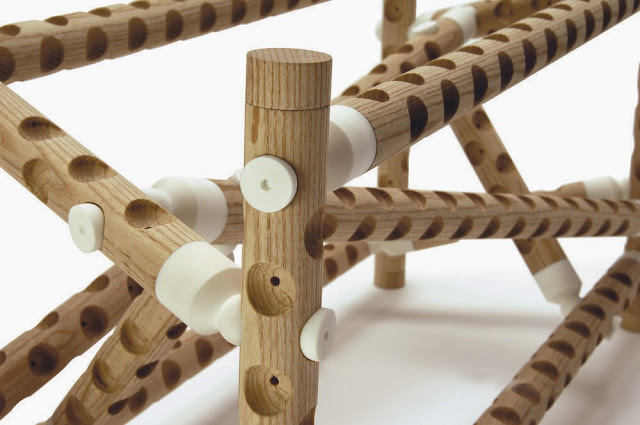 Functionality is provided by the combination of the ball joint with perforated wooden poles made of ash. The combination of wood and anodised aluminium gives the purely functional product a polished look. 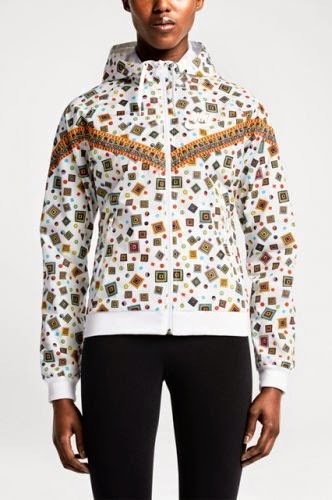 We're not sure what's driving all the fashionable fitness wear at the moment, but following on from the recent NikeLab x sacai collaboration comes this one with iconic British fashion house Liberty. Instead of Liberty's traditional floral prints, this line is based on a design of geometric shapes and panels called the Merlin print that was originally created for a silk scarf in 1972. Nike x Liberty will be released tomorrow, May 15. The PXR-5 which was first launched in 2005 has been updated in this collaboration as the Void x Michael Young PXR-5 Watch. 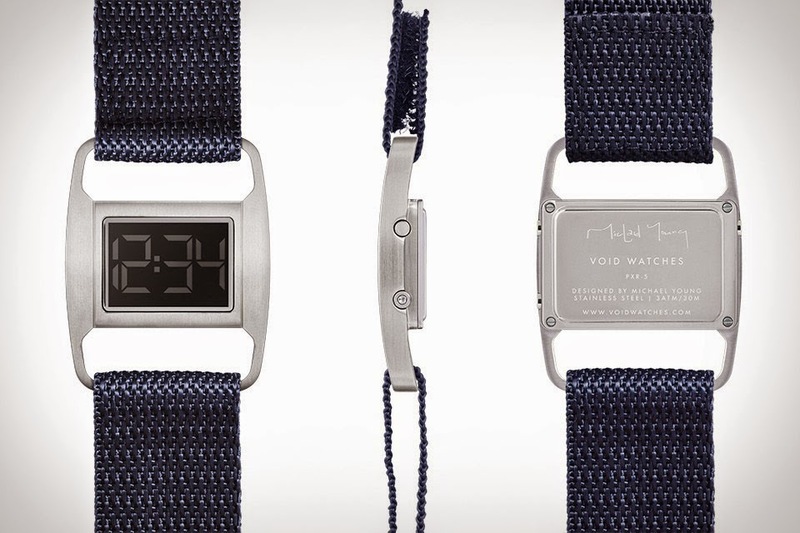 This redesign retains the blue-green EL digital display but introduces new colour pairings: black, gold, or brushed stainless steel bodies paired with black, brown and grey or navy blue nylon straps. Yes, we have written about IKEA collaborations before but it's been quite a while since we've been this excited about a launch. 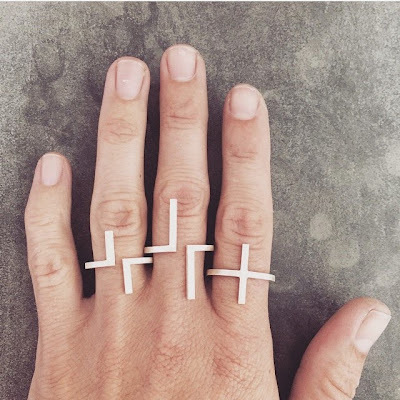 The Sinnerlig collection, a collaboration with London-based designer Ilse Crawford, was launched during Stockholm Design Week after three years in development. 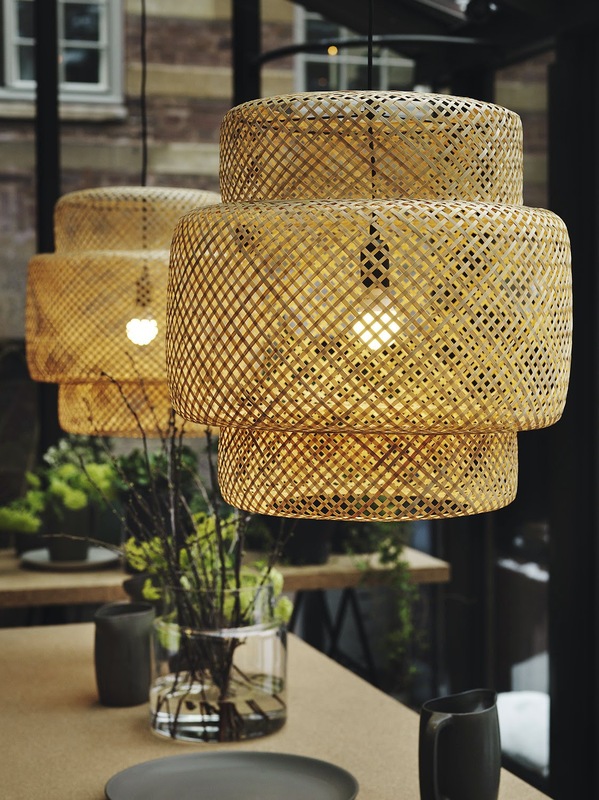 The collection's emphasis is on material combinations rather than shapes, and consists of a range of environmentally-friendly cork and natural-fibre homeware products in neutral colours which are used in the most unexpected ways. The more than thirty items in the Sinnerlig collection will be available at Ikea stores in the United States and online in August. While not traditionally known for its high surf thanks to the ring of reefs surrounding the islands, Bermuda is home to a band of surfing enthusiasts and Isolated Surfboards was founded in 2009 to meet their needs. 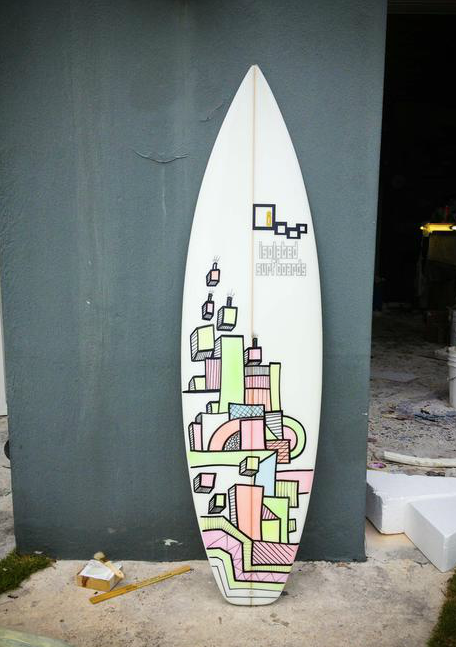 Run by Cullen O'Hara, who honed his craft while living in Fiji, Isolated Surfboards provides custom, hand-shaped surfboards, custom glassing, ding repair, surf and SUP lessons, gear and apparel. 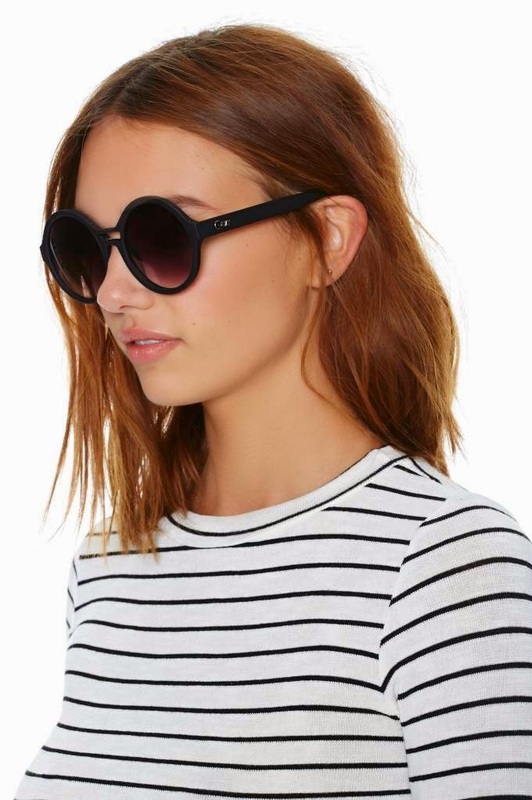 We're big fans of Quay Australia sunglasses which are always fashion-forward, comfortable and affordable. The line was formed 11 years ago on the festival circuit by Linda and Allen Hammond to be a quirky range of sunglasses for the nonconforming and freethinking. Our current favourite is this the slightly retro, circular, matte black Kensie Girl which features gray lenses and enough UV protection to protect against the Australian sun. The Dot Dash cushion is part of the homeware line from Australian fashion brand Gorman. 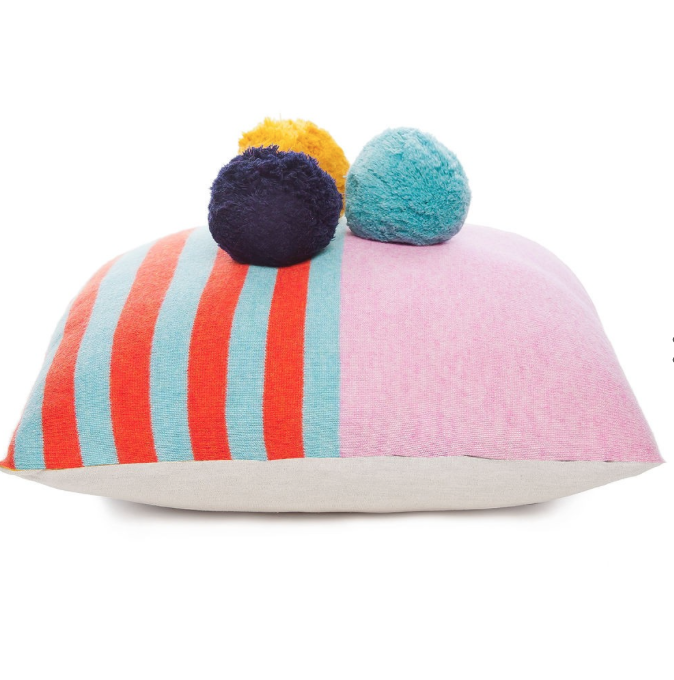 Made of 100% lambswool, the cushion comes in contrasting patterns and colours and is adorned with decorative pompons. All in all, the Dot Dash cushion is guaranteed to bring a bright patch of colour and texture to your living space. 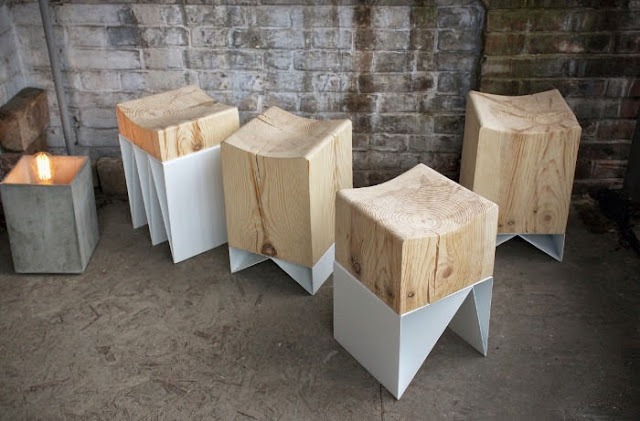 Russian design studio Svoya presents IZLOM: a collection of raw and graphic stools combining solid wood and metal. Each stool consists of a a solid block of wood of varying thickness mounted on metal legs of varying height and pattern. While each stool has an individual appearance, together the collection forms a complimentary set of stools, all of the same height. 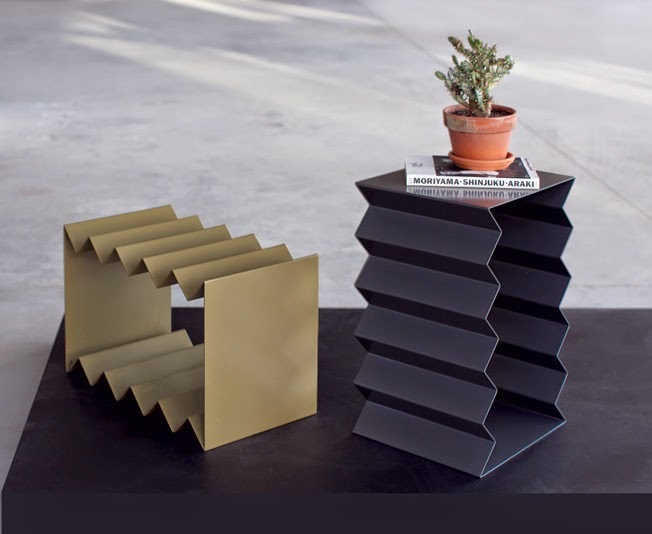 Page Thirty Three, an Australian-based creative design company, has created the Zig Zag - a functional sculpture which can be used as a stool or, with the addition of triangular wooden prisms, a side table. The piece is designed and handcrafted in Australia of powder-coated steel and is currently available in two colours: olive and charcoal. 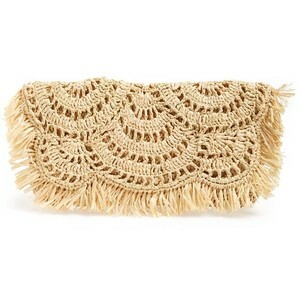 The Giselle Scalloped Fringe Clutch from Mar y Sol. Often, when fashion and comfort collide it's not a pretty sight, but this second collaboration between Opening Ceremony and sport sandal company Teva gets the balance just right. The collection includes the popular Hurricane XLT Gladiator and the Psyclone re-imagined in bright colours, but our favourite is this, the Flatform Universal. 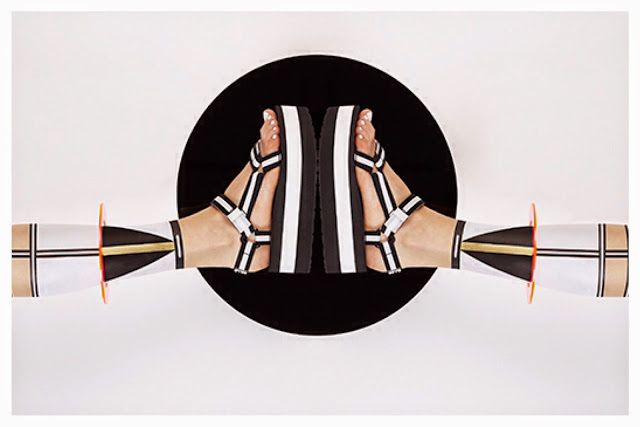 With a nod to both normcore and athleisure, the sandals sport a two-tone, striped flatform sole and Teva’s iconic velcro closures on grosgrain straps. The sandals are finished with microfibre footbeds and lightweight soles for maximum comfort.